Facebook’s Sheryl Sandberg’s 2013 book Lean In attracted attention in Japan, where Sandberg’s advice for business women to “lean in” and assert themselves in order to climb the ranks of power in the corporation was controversial. Soon after the NHK special featuring Sandberg, I noticed the translated version of her book had appeared and was displayed prominently in a bookstore at Shinjuku station, easily in reach of the urban business commuter. But how do “salarywomen” view Sandberg’s strategies? How do women in ordinary career positions maintain their well-being when their husbands are rarely able to substantially contribute to childrearing and domestic management? This paper concerns building a career over the long span of marriage and childrearing, and the choices ordinary salary women make not to lean in too far, while enlisting intergenerational support in order to manage their family lives. While such strategies may not propel married women into the Sandberg ranks of upper management, they are survival strategies while the children are growing up. Will these strategies evolve as companies are pressured to increase the percentage of women in management under Prime Minister Abe’s policies? Data come from a longitudinal set of fourteen women in the same Tokyo corporation, whom I have been interviewing at 3-5-year intervals since 2003. 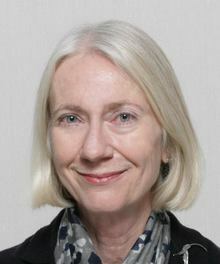 Glenda S. Roberts obtained her PhD in Anthropology from Cornell University in 1986. After holding research and academic positions in Honolulu from 1988, she has lived and worked in Japan since 1996, first at the University of Tokyo Institute of Social Sciences, and then, from 1998 to the present, at the Graduate School of Asia-Pacific Studies of Waseda University, where she is Professor. Her major areas of research are gender, work, family, and migration policy in contemporary Japan.